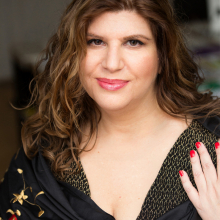 American soprano Abbie Furmansky came to international prominence while performing as an ensemble member at the Deutsche Oper Berlin, where she quickly established herself in the lyric repertoire. She is especially noted for her riveting stage presence, rich vocal timbre, musicality and expansive voice. She has worked with well-known conductors such as Kent Nagano, Ingo Metzmacher, Christopher Hogwood, John Nelson, Christian Thielemann and Edo de Waart. Throughout Europe and in the USA, she has appeared with the German Symphony Orchestra, the Bavarian Radio Symphony Orchestra, the Netherlands Philharmonic Orchestra, Berlin Radio Orchestra, and Bulgarian Radio Symphony. She has sung in illustrious halls such as the Berlin Philharmonie, Carnegie Hall, the Philharmonic Gasteig, the Royal Concertgebouw and Esplanade Hall. 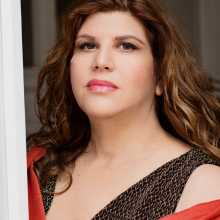 She has performed with opera companies such as the New York City Opera, Canadian Opera Company, Washington National Opera, Los Angeles Opera, Bayerische Staatsoper, Oper Frankfurt, de Nederlandse Opera and the Baden-Baden Festival. As an ensemble member at the Staatstheater Mainz for several seasons, she sang her role debuts as, the Marschallin in Der Rosenkavalier, Jenny in Mahagonny, Marie in Wozzeck, Mimì in La Bohème, and the title role in Madama Butterfly. Her discography includes the BMG recording of the opera La Favorita, the DVD of the Nikolaus Lehnhoff directed Parsifal conducted by Kent Nagano, and Bernstein’s Kaddish Symphony released on Nimbus Records. 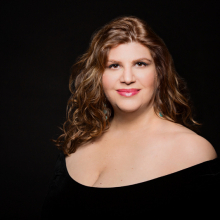 In recital, she has performed in Morelia and Zamora, Mexico, at Deutsche Oper Berlin and the University of Wisconsin at Madison. 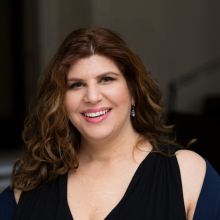 A sought-after voice teacher, Abbie Furmansky maintains a private vocal studio in Berlin, and regularly gives voice lessons to the Staatsoper Berlin Opera Studio. 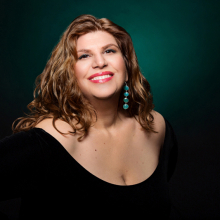 She has been a vocal instructor at the renowned IVAI in Tel Aviv, Body Mind Voice Berlin, and Ars Vocalis Mexico. Abbie was an “artist in residence” at University of Wisconsin-Madison giving a recital and master class. In Spring 2017, she gave a master class and recital at the Jacobs School of Music at Indiana University and in spring 2018 a master class at the Royal Conservatoire Antwerp. She continues to teach at the Greek Opera Studio, and at IVAI in Tel Aviv. This summer she is teaching as a co-founder at the Balance Arts Opera Berlin program. She lives in Berlin with her husband, the composer and pianist Daniel Sutton, and their son Joshua.